The body is very resilient and able to heal itself most of the time, but occasionally, it needs a little help. Platelet-Rich Plasma injections can provide a much needed boost to your body’s healing process. PRP injection cost ranges from $500 to $2,000 per injection, and most patients see positive, long term results after 2 or 3 injections. As we grow older or when we become injured, our tissues, tendons, and ligaments do not heal as quickly as they used to. Inflammation can also cause all kinds of issues in the body and healing may not be as quick as it once was. If the damage is severe enough, healing may not be possible without some kind of treatment. Platelet-Rich Plasma injections may be the answer. These treatments (also known as PRP injections) have been shown to provide a “jump start” to the body’s healing process. Over the past few years, studies have shown positive results for patients. Our blood components include white cells, red cells, platelets and plasma, among other proteins and nutrients. The platelets in our blood are the main ingredient in the healing process. They help our bodies develop scabs to heal our skin. Using a centrifuge, doctors can take a sample of blood and separate it, leaving the plasma (full of healing platelets) available for injection. Receiving a treatment of platelet-rich plasma is fairly simple. Blood is taken from the patient, the platelet-rich plasma is separated from the blood and then, injected into the body where it is needed the most. First, a sample of blood is taken from the patient. Depending on the amount of platelets needed, a small vile or up to a pint of blood may be taken. Next, the blood is placed in a centrifuge device which allows for the blood to be separated into its various elements. Once separated, doctors can extract the plasma for injection. Finally, the PRP is injected. The plasma, full of healing platelets, is carefully injected into the body right where it is needed the most. Doctors use a precision needle and ultrasound technology to pinpoint the best place for the injection. Over time, the platelets in the plasma go to work to promote healing of the muscle, tendon or ligament where they were injected. Typically, 5 to 10 times as many platelets will be injected compared to the number of platelets that are in the injured area. These high concentrations of platelets are the key to the healing process. Patients of any age or stage of life can benefit from PRP injections. If someone has arthritis in their joints, inflammation anywhere in the body, or has been injured, PRP injections can assist the healing process. Knee pain, back pain and even hair loss can be treated with this regenerative treatment. Degenerative diseases are a common reason for platelet-rich plasma injections. Wherever the body is losing tissue, the plasma can go to work to help the body heal itself. Injuries are another common reason to use PRP for treatment. When athletes tear a major tissue or tendon in their bodies, the healing process can be slow. With PRP injections, healing is boosted at the source of the injury. Many professional athletes with sports injuries have reported great results and quicker recovery times due to PRP injections. Platelet-rich plasma injections are still a fairly new and emerging treatment, but a few studies have been performed with great success. The American Journal of Sports Medicine in 2013 reported that a study of 78 patients showed that PRP injections worked better for treating knee osteoarthritis compared to using saline injections, a more common treatment for the disease. In 2014, the same journal reported on research performed on 28 athletes. This study showed that, after 3 treatments of PRP injections, symptoms of chronic patellar tendinopathy were greatly reduced. In 2015, the journal Stem Cells Translational Medicine reported on a 20-patient study that men with hair loss (a condition driven by inflammation of the hair follicles) experience more hair growth and significantly thicker hair than men who did not receive PRP injections. PRP injection cost varies from clinic to clinic, but typically ranges from $500 to $2,000 for a single treatment of platelet-rich plasma. Most patients experience positive results after a single injection, but doctors typically want to perform 2 or 3 rounds of the treatment to potentially provide a full recovery. While studies are limited, very few side effects have ever been reported with PRP therapy. Due to the use of the patient’s own blood, there is no risk of the body rejecting the platelets. Most patients are able to receive treatment in under one hour at an outpatient center and return to their regular lives the same day as the treatment. Platelet-rich plasma therapy is an emerging area of health science. 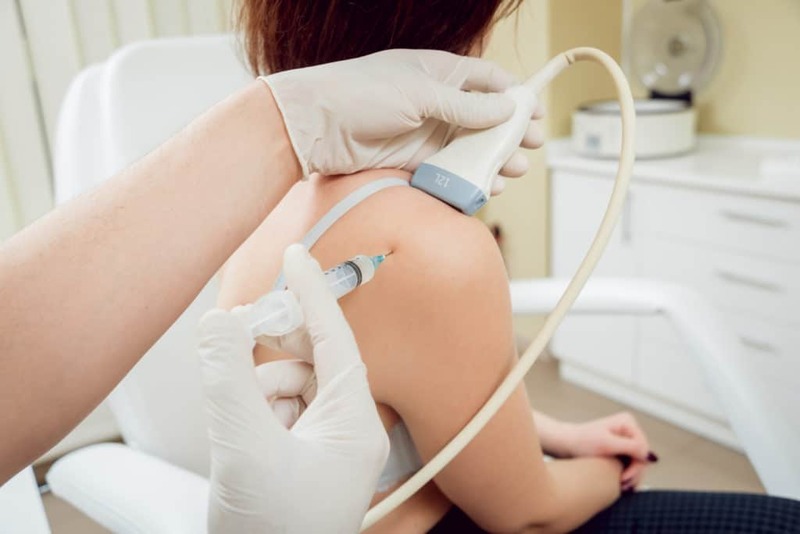 As more studies are published, insurance carriers are likely to begin covering the cost of PRP injections in the future. If you’re looking to manage your inflammation or degenerative disease, PRP injections may be the treatment you need to heal. Schedule an appointment with us today to find out if PRP injections are right for you.